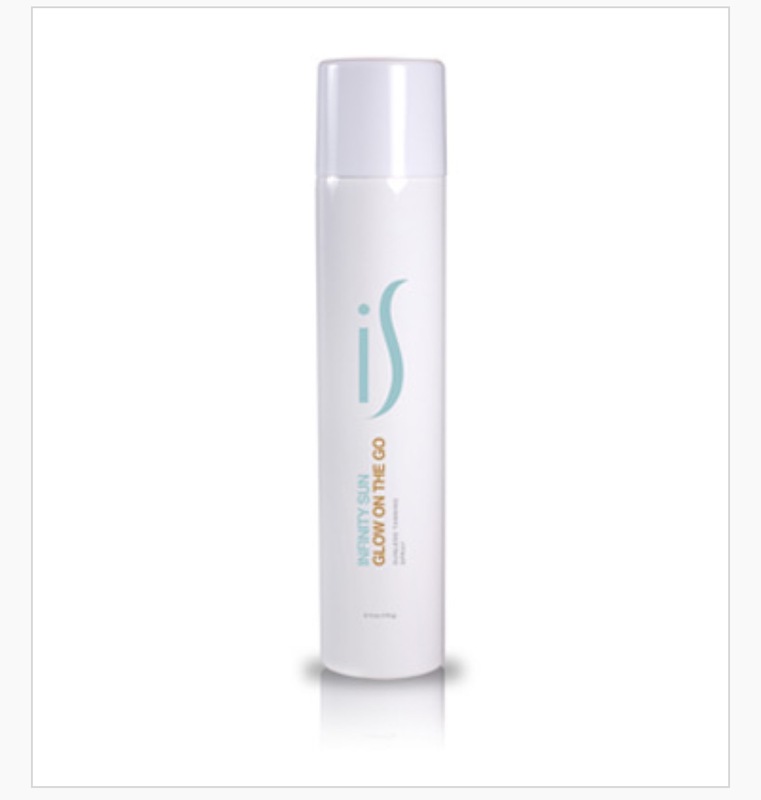 Infinity Sun Glow On The Go Revitalize your skin and create an infinitely sumptuous tan with the infinity Sun Glow on the Go, all natural, anti-aging sunless tanning aerosol. This new formulation comes in two very natural looking shades, Infinity Bronze, and Infinity Gold. Containing only the most natural ingredients, without harmful propellants or alcohol, Infinity Sun Glow on the Go is propelled by air, so it is safe for the skin as it is for the environment. Enriched with essential oils, antioxidants and botanicals, your skin will be soft, supple and radiant.